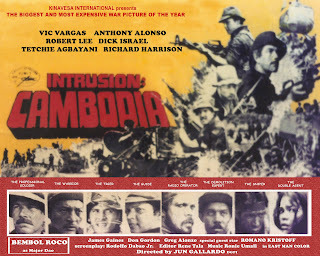 Intrusion Cambodia was the first film I made in the Philippines and was probably my best experience there. I had a tendency to try and help the producer by saving the production money--such as finishing the scenes when everyone else wanted to quit for the day, or canceling the hotel room in Manila when we were away on location. Unfortunately, instead of appreciating this help, they would put me in cheaper hotels and treat me with less respect. It seems that producers would rather have an actor act like a spoiled star; they may complain, but they always seem to have more respect for the actor. 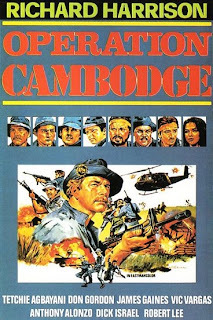 The director, John Gale (aka Jun Gallardo), was treated better by the Silver Star producers than Teddy Page (who directed Fireback, Hunter's Crossing, Blood Debts, and was actually the assistant director for Intrusion Cambodia as well). Gale was always ready to stop for the day, while Page wanted to get the work done. I remember one time with Page it started to rain in the jungle where we were shooting and he called it a wrap, but I insisted on finishing the scenes. I showed them how to put the lights so you could not see that it was raining. No one was very happy about finishing. I liked the producer, K.Y. Lim. But while he lived in the best hotels wherever he traveled and ate in the best restaurants, his crew stayed in the worst and ate in the worst. When he came to Cannes or Rome he traveled top class. Tetchie Agbayani was a very pretty girl. She didn't think I approved of her, probably because I don't have anything to do with people on drugs. She was using them and I told her I thought she was making a big mistake by doing so. Vic Vargas was a big star in the Philippines and we got along very well. He was good looking and was once considered a bad boy. Then he became a born-again Christian, which I felt was hard for him. I remember he was unhappy because I was supposed to end up with Tetchie in the film, so I had the script changed to where he ended up with her, which made him happy. Unfortunately, Vic passed away in 2003. Don Gordon Bell (aka Don Gordon) was a little crazy when I met him, but I liked him. Since he told me he wanted to be a scriptwriter and the scripts we were given were very bad, I told Don we would do a script together but he could have the credit. Then K.Y. 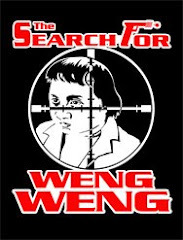 Lim told me to go ahead and rewrite or make a new script for the film. So I would lie down on a couch and Don would write down what I said. Sometimes we would discuss a scene. It took us about eight hours to make up a script for Intrusion Cambodia. Later, Don became religious and I believe he went to Korea. Mike Monty was a likeable person, but he had a very bad fault concerning young girls in the Philippines. So I kept away from him because of that. As for Mike Cohen, I remember meeting him with John Dulaney once. He may have worked in some of the other movies I did over there; I didn't pay much attention. By this time in my career I just wanted the money. I didn't socialize very much. 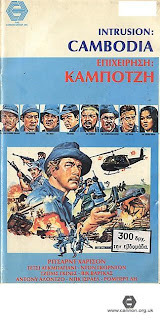 All of the guns and uniforms for Intrusion Cambodia, Fireback, and the rest were purchased at military stores in Manila. In this case I remember giving the heavy weapons to Romano Kristoff, as he was happy to have the Rambo look and I was happy not to carry the heavy load.